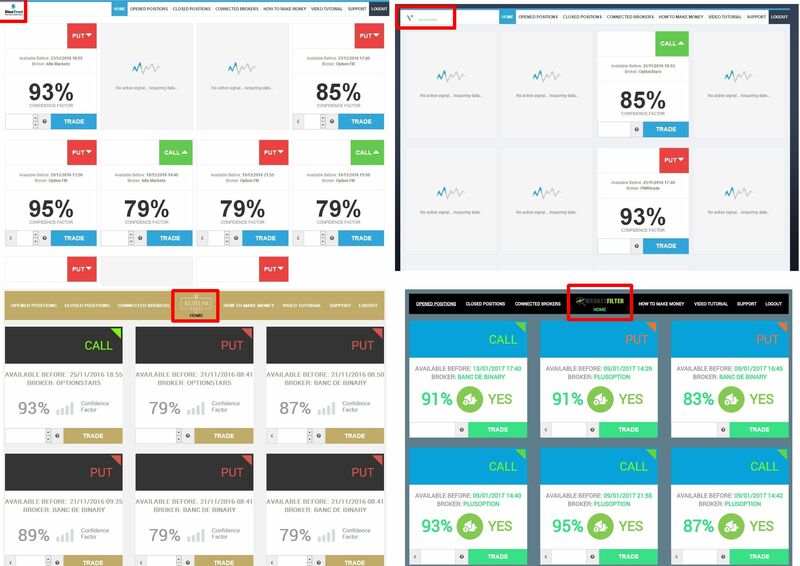 This review proves that Market Filter is a scam designed to make you lose money through binary options. It is presented by Martin Forster. 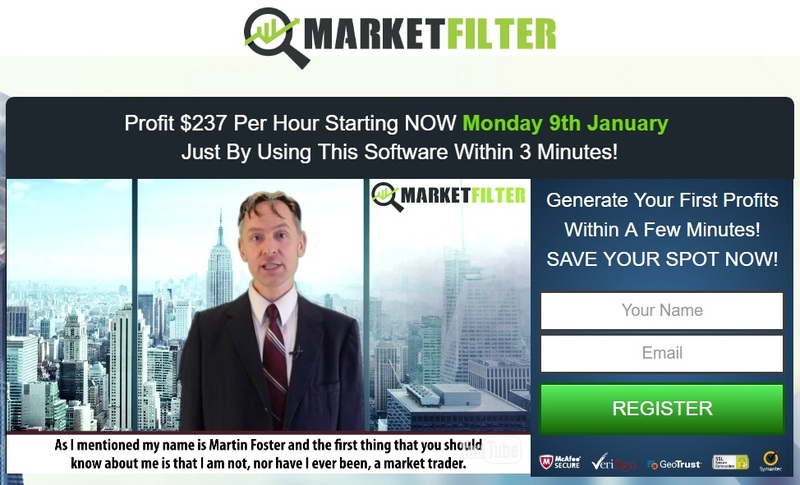 Foster claims that Market Filter 3.1 is a binary options trading software that can make you $237 per hour or $7,000 per day. You allegedly can become a millionaire within five months. MarketFilter works on autopilot, so you have nothing to do. And it is free, so you can become rich for free. Really? The truth is that Market Filter is a scam that won’t earn you a single cent. In fact it will lose your money. Foster is not a binary options trader, he is a paid actor that is just lying to you. There is no free money, not even on binary options. Now let us proove that Market Filter is a scam. It uses a very well-known software that has been developed and is offered by scammers only. Look at the picture to see a few examples of other scams that use this exact same software, like BinaTrust or AurumTech. The app is always the same, only the logo and colors change. 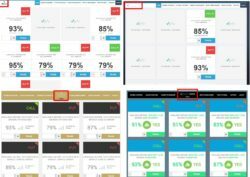 Because this software is used by many scams, we have a lot of feedback about it from real users and we know that it loses money in real trading! Do you want to know what is the real purpose of Market Filter 3.1? To make you open an account with a selected binary options broker and to make you deposit money into this account. Why? Because people who created this scam are affiliated with a certain broker that pays them for referring new depositors. If you deposit through Market Filter and let the software trade with your money, you will lose it. Market Filter is a scam that will force you to deposit money with an unregulated broker and then it will lose your money. People interested in making money with binary options should always start on a free demo with a regulated broker. On the demo you can learn how to trade profitably. Only then you can start trading with real money.